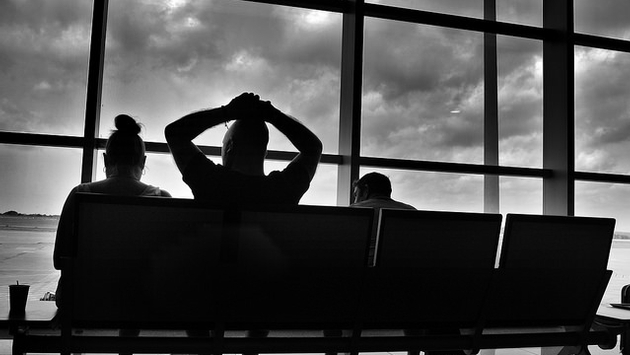 We’ve all suffered arduous layovers, but none of us have had to deal with one that would take generations to transpire. The Huffington Post and Mashable spotted one of the year’s great Facebook exchanges last year, and we are just glad we finally spotted it. It’s a Facebook post from one James Lloyd to travel website Skyscanner.com, and the subject is the rather lengthy layover he was tasked with on his upcoming trip. Here is the post that will make you laugh and then immediately cringe when you consider nearly 50 years wasted in an airport. In that time, Lloyd could leave the airport, raise a family and then return once his children are safely off to college. Understandably, Lloyd didn’t want to start a new life and spend over 400,000 hours in Bangkok, regardless of how amazing it is. Jen explains: "Unless you're a huge fan of The Terminal, I'd probably recommend spending those years outside of the airport, so here are a few suggestions: Missed Songkran but you've got another 46 years to enjoy it; How do you feel about heights? The Moon Bar is pretty good and it's open until 1am so you could spend a good chunk of time there; A cruise on the Chao Phraya river could keep you busy for a while; If you get peckish there's a floating market. Not only good for grub, but you could make a few mates whilst you're there. Win/win; Become a Tai Chi expert in Lumpini Park. Even Viktor Navorski, in 2004’s “The Terminal,” was only asked to spend nine months in an airport terminal. Thankfully, Lloyd never had to endure the fate that is a life spent milling about various gates and busy travelers. Skyscanner thanked Lloyd for the moment of Internet fame. To think, Lloyd narrowly missed boarding a plane for an entirely new life. All kidding aside, we love the idea of having more time on vacation. However, as the above proves, there is such a thing as too much holiday time.